Episode 13 of The Dash Podcast. Part 1 of my in-depth conversation with Madonna, PRONG and Solo Artist guitarist, Monte Pittman. 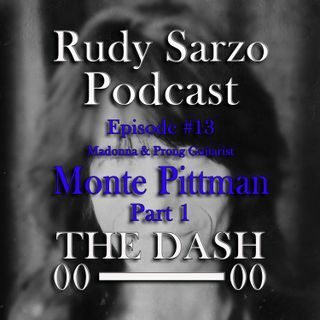 In this episode we talk about Monte's passion for teaching music, moving to Los Angeles, joining PRONG, giving Madonna guitar lessons which ultimately led to him joking her band. I Hope you enjoy it and I look forward to your thoughts.